Updated: This story has been updated with final results for multiple games. 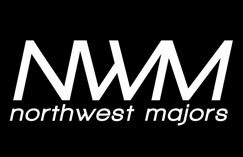 Northwest Majors VI kicks off today from Des Moines, Washington, and the event will run all the way through the weekend. This major tournament is the next stop on the Capcom Pro Tour, and a plethora of different games will be competed in, including Super Street Fighter 4 Arcade Edition v2012, Ultimate Marvel vs. Capcom 3, King of Fighters 13, Injustice: Gods Among Us, and more. As with any major, many top-level players are expected to compete. 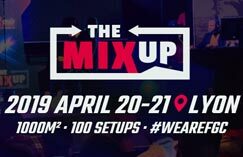 MCZ|Tokido, EG|K-Brad, EG|PR Balrog, RG|Filipino Champ, EMP|NuckleDu, BT|Clockw0rk, AS|Reynald, BE|Nemo, BE|Abegen, BE|KaneBlueRiver, MMG|Apologyman, EMP|Mew2King, Bokkin, Bronson Tran, Mr. Naps, JustFramesJames, and many more are set to take part in this event. Northwest Majors VI marks the first stateside event where the public can try out Ultra Street Fighter 4's Decapre. 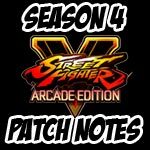 A USF4 location test will be running throughout the weekend, so anyone in attendance can get their hands on the upcoming update. A first-to-10 King of Fighters 13 exhibition is set to take place between Tokido and Reynald, along with other side events. Hit the jump to check out the live streams. Note: Players competing in the Super Street Fighter 4 Arcade Edition v2012 portion of the tournament will be awarded with tier 2 Capcom Pro Tour points. Below is a breakdown of how the points will be divided up. • Grand finals, first set: MCZ|Tokido (Akuma) eliminated EG|K-Brad (Cammy) 3-2. • Losers finals: EG|K-Brad (Cammy) eliminated EMP|Sanford Kelly (Oni) 3-2. • Winners finals: MCZ|Tokido (Akuma) beat EG|K-Brad (Cammy) 3-2. • Losers semi-finals: EMP|Sanford Kelly (Oni) eliminated EG|PR Balrog (Evil Ryu) 2-0. • EG|PR Balrog (Evil Ryu) eliminated BE|Nemo (Yang, Chun-Li) 2-0. • EMP|Sanford Kelly (Oni) eliminated CCG|Air (Ryu) 2-0. • Winners semi-finals: EG|K-Brad (Cammy) beat EG|PR Balrog (Balrog, Evil Ryu) 2-1. • Winners semi-finals: MCZ|Tokido (Akuma) beat CCG|Air (Ryu, Guy) 2-0. • BE|Nemo (Yang) eliminated Bokkin (Cammy) 2-1. • EMP|Sanford Kelly (Sagat) eliminated pH|Hoodaman (E. Honda) 2-1. • Bokkin (Cammy) eliminated FineLikeWine49 (Guile) 2-1. • EMP|Sanford Kelly (Oni) eliminated EG|Ricky Ortiz (Rufus) 2-1. • pH|Hoodaman (E. Honda) eliminated SRKUW|Fawwaz (C. Viper) 2-0. • BE|Nemo (Yang) eliminated Dickson (Cammy) 2-0. • FineLikeWine49 (Guile) eliminated Integra (Ken) 2-0. • BE|Nemo (Yang) eliminated pH|LPN (Cammy) 2-0. • EG|Ricky Ortiz (Rufus) eliminated EMP|NuckleDu (Sakura, Guile) 2-0. 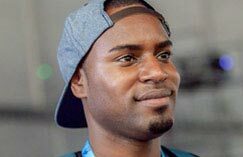 • EG|PR Balrog (Evil Ryu) beat EMP|Sanford Kelly (Oni) 2-1. • CCG|Air (Ryu) beat Bokkin (Cammy) 2-0. • EG|K-Brad (Cammy) beat SRKUW|Fawwaz (C. Viper) 2-1. • Grand finals, first set: RG|Filipino Champ (Magneto, Dr. Doom, Phoenix) eliminated BE|KaneBlueRiver (Hulk, Haggar, Sentinel) 3-1. • Losers finals: BE|KaneBlueRiver (Hulk, Haggar, Sentinel) eliminated BE|Nemo (Nova, Dr. Strange, Spencer) 3-2. • Winners finals: RG|Filipino Champ (Magneto, Dr. Doom, Phoenix) beat BE|KaneBlueRiver (Hulk, Haggar, Sentinel) 3-1. • Losers semi-finals: BE|Nemo (Nova, Dr. Strange, Spencer) eliminated MMG|Apologyman (Firebrand, Dr. Doom, Super-Skrull) 3-2. • MMG|Apologyman (Firebrand, Dr. Doom, Super-Skrull) eliminated MCZ|Tokido (Nova, Dr. Strange, Spencer) 3-0. • BE|Nemo (Nova, Dr. Strange, Spencer) eliminated EG|PR Balrog (Wolverine, Dr. Doom, Vergil) 3-1. • Winners semi-finals: BE|KaneBlueRiver (Haggar, Hulk, Sentinel) beat MMG|Apologyman (Firebrand, Dr. Doom, Super-Skrull) 3-2. • Winners semi-finals: RG|Filipino Champ (Magneto, Dr. Doom, Phoenix | Magneto, Dormammu, Dr. Doom) beat BE|Nemo (Nova, Dr. Strange, Spencer) 3-2. • MCZ|Tokido (Nova, Dr. Strange, Spencer) eliminated Jeopardy (Zero, Nova, Iron Man) 3-2. • EG|PR Balrog (Wolverine, Dr. Doom, Vergil) eliminated UGS|Neo (Magneto, Dr. Doom, Phoenix) 3-1. • MCZ|Tokido (Nova, Dr. Strange, Spencer) eliminated MC|XSK Samurai (Magneto, Dr. Doom, Vergil) 3-1. • Jeopardy (Zero, Nova, Iron Man) eliminated TheDon323 (Morrigan, Dormammu, Dr. Doom) 3-0. • EG|PR Balrog (Wolverine, Dr. Doom, Vergil) eliminated SMH|Darryn (Nova, Spencer, Hawkeye) 3-1. • UGS|Neo (Magneto, Dr. Doom, Phoenix) eliminated SMH|Kyle P (Spencer, Dr. Doom, Vergil) 3-1. • TheDon323 (Morrigan, Dormammu, Dr. Doom) eliminated NWM|2 Chairz (Morrigan, Dr. Doom, Vergil | Magneto, Dr. Doom, Vergil) 3-1. • MC|XSK Samurai (Magneto, Dr. Doom, Vergil) eliminated SMH|Doomkills (C. Viper, Dr. Doom, Amaterasu) 3-1. • SMH|Kyle P (Spencer, Dr. Doom, Vergil) eliminated EG|K-Brad (Trish, Vergil, Dante) 3-1. • SMH|Darryn (Nova, Spencer, Hawkeye) eliminated BT|Clockw0rk (Vergil, Dr. Doom, Strider) 3-0. • MMG|Apologyman (Firebrand, Dr. Doom, Super-Skrull) beat UGS|Neo (Magneto, Dr. Doom, Phoenix). • RG|Filipino Champ (Magneto, Dr. Doom, Phoenix | Magneto, Dormammu, Dr. Doom) beat MCZ|Tokido (Nova, Dr. Strange, Spencer) 3-2. • BE|Nemo (Nova, Dr. Strange, Spencer) beat Jeopardy (Zero, Nova, Iron Man) 3-2. • BE|KaneBlueRiver (Hulk, Haggar, Sentinel) beat EG|PR Balrog (Wolverine, Dr. Doom, Vergil) 3-1. • Grand finals, first set: EMP|Mew2King (Sheik) eliminated 62Bit|Bladewise (Peach) 3-0. • Losers finals: 62Bit|Bladewise (Peach) eliminated IB (Marth) 3-1. • Losers semi-finals: 62Bit|Bladewise (Peach) eliminated MMG|Shroomed (Dr. Mario) 2-1. • 62Bit|Bladewise (Peach) eliminated GC|SilentWolf (Fox) 2-1. • MMG|Shroomed (Dr. Mario) eliminated MIOM|Sfat (Fox) 2-1. • MMG|Shroomed (Dr. Mario) eliminated Yakal (Falco) 2-0. • GC|SilentWolf (Fox) eliminated Blunted Object (Falco) 2-1. • Grand finals, first set: MCZ|Tokido (EX Iori, Mr. Karate, Kim) eliminated AS|Reynald (Duo Lon, Benimaru, Chin) 3-2. • Losers finals: AS|Reynald (Duo Lon, Benimaru, Takuma) eliminated Joel A (Daimon, Iori, Robert) 3-1. • Winners finals: MCZ|Tokido (EX Iori, Mr. Karate, Kim) beat AS|Reynald (Duo Lon, Benimaru, Chin | Duo Lon, Takuma, Chin) 3-1. • Losers semi-finals: Joel A (Iori, Daimon, Robert) eliminated TC|Romance (King, Benimaru, Yuri) 2-0. • Joel A (Iori, Robert, Daimon) eliminated KCO|Pedro (EX Iori, Benimaru, Mr. Karate) 2-1. • TC|Romance (Benimaru, Saiki, Yuri) eliminated BE|KaneBlueRiver (Raiden, Takuma, Vice) 2-1. • Winners semi-finals: AS|Reynald (Duo Lon, Benimaru, Chin) beat KCO|Pedro (EX Iori, Benimaru, Mr. Karate) 2-0. • Winners semi-finals: MCZ|Tokido (EX Iori, Mr. Karate, Kim) beat TC|Romance (King, Benimaru, Yuri) 2-0. • Joel A (Iori, Daimon, Robert) eliminated Daniel T (Daimon, Saiki, Mr. Karate) 2-0. • BE|KaneBlueRiver (Raiden, Takuma, Vice) eliminated PSG|El_Matador (Athena, Mr. Karate, Yuri | Athena, Duo Lon, Yuri) 2-0. • Grand finals, second set: 8Arc|Jimmy J Tran (Bryan, Dragunov) eliminated TekSma|Inkognito (Bob, Bryan) 3-2. • Grand finals, first set: TekSma|Inkognito (Bob, Bryan) beat 8Arc|Jimmy J. Tran (Bryan, Dragunov) 3-1. • Losers finals: TekSma|Inkognito (Bob, Bryan) eliminated 8Arc|Bronson Tran (True Ogre, Jinpachi) 3-2. • Winners finals: 8Arc|Jimmy J. Tran (Bryan, Dragunov) beat 8Arc|Bronson Tran (Jinpachi, Marduk | Marduk, Jaycee | Marduk, True Ogre) 3-0. • Losers semi-finals: TekSma|Inkognito (Bob, Bryan) eliminated JustFrameJames (Marshall Law, Yoshimitsu) 3-1. • Grand finals, first set: STB|Immortal Kombat (Doomsday) eliminated The Bat Muchacho (Batman) 3-1. • Losers finals: The Bat Muchacho (Batman) eliminated SRKUW|Trevor (Superman) 3-1. • Winners finals: STB|Immortal Kombat (Doomsday) beat The Bat Muchacho (Batman) 3-1. • Losers semi-finals: SRKUW|Trevor (Superman) eliminated STB|Mittens (Martian Manhunter, Sinestro) 3-1. • SRKUW|Trevor (Superman) eliminated iLuusions (Green Arrow, Batman, Sinestro) 3-2. • Winners semi-finals: STB|Immortal Kombat (Doomsday) beat T4P|Nowhere Man (Aquaman, The Flash) 3-1. • Winners semi-finals: The Bat Muchacho (Batman) beat iLuusions (Green Arrow, Nightwing) 3-1. • STB|Mittens (Martian Manhunter) eliminated Organ Donor (Batman) 3-1. • SRKUW|Trevor (Superman) eliminated AK|Clark (Superman) 3-1. • Grand finals, second set: BananaKen (Kokonoe) eliminated NC|Pain (Kokonoe) 3-1. • Grand finals, first set: BananaKen (Kokonoe) beat NC|Pain (Kokonoe) 3-0. • Losers finals: BananaKen (Kokonoe) eliminated huey253 (Taokaka) 3-0. • Winners semi-finals: NC|Pain (Kokonoe) beat huey253 (Taokaka) 3-0. • Losers semi-finals: BananaKen (Kokonoe) eliminated 2GB|Combo (Relius) 2-0. • 2GB|Combo (Relius) eliminated Wulu (Hazama) 2-0. • BananaKen (Kokonoe) eliminated MMG|Apologyman (Hakumen) 2-0. • Winners semi-finals: NC|Pain (Kokonoe) beat Wulu (Hazama) 2-0. • Winners semi-finals: huey253 (Taokaka) beat BananaKen (Kokonoe) 2-0. • 2GB|Combo (Relius) eliminated sévérine (Kokonoe) 2-1. • MMG|Apologyman (Hakumen) eliminated TheDon323 (Litchi) 2-0. 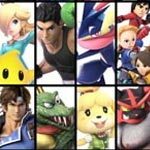 An exhibition was held in Super Smash Bros. Melee where EMP|Mew2King battled several different players, where each side started off with 24 stocks and the one to reach 0 first would lose. Below, you'll find the results for this exhibition match-by-match. The way the matches were played, stocks carried over from each game. So in the second game, due to having lost 3 stocks in the first game, Sfat had only one stock left to use. EMP|Mew2King, being the sole competitor for his side, had 6 sets of 4 stocks at his disposal. EMP|Mew2King (Captain Falcon) lost 4 stocks. MIOM|Sfat (Fox) lost 3 stocks. EMP|Mew2King (Roy) lost 0 stocks. MIOM|Sfat (Fox) lost 1 stock. EMP|Mew2King (Roy) lost 1 stock. Foosjr (Sheik) lost 4 stocks. EMP|Mew2King (Roy) lost 3 stocks. DisneyPeach player (Peach) lost 2 stocks. EMP|Mew2King (Fox) lost 0 stocks. EMP|Mew2King (Fox) lost 3 stocks. MMG|Shroomed (Marth) lost 4 stocks. EMP|Mew2King (Fox) lost 1 stock. Blunted Object (Falco) lost 1 stock. EMP|Mew2King (Marth) lost 0 stocks. Blunted Object (Falco) lost 3 stocks. EMP|Mew2King (Marth) lost 1 stock. Mikeyboy|Poor Blue Falco (Falco) lost 4 stocks. EMP|Mew2King had 11 stocks remaining when The World's stock count reached 0. Apologyman used a team of Firebrand, Dr. Doom, Super-Skrull, Nemo used his usual squad of Nova, Dr. Strange, Spencer. 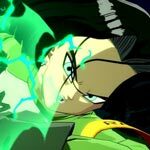 Abegen used his usual team of Tron, Thor, She-Hulk while XSK Samurai ran Magneto, Dr. Doom, Vergil. 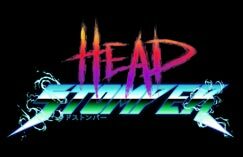 KaneBlueRiver played his team big body squad of Hulk, Haggar, Sentinel. Kyle P used Dr. Doom, Vergil, Spencer. Renald used Duo Lon, Benimaru, Kim and Chin. Tokido used Mr. Karate, EX Iori, Kim and Vice. Streams courtesy of Team Khaos, Khaosgaming2, Khaosgamingtv, Logic Hole and ZodiacSmash.